Oak Hill Country Club is located in the Town of Pittsford, New York in a suburb southeast of Rochester. The original Oak Hill course opened in 1901 and was a 9 hole course set on 85 acres on the banks of the Genesee River in Rochester. In 1921 the Oak Hill membership had doubled in size and so too had the new clubhouse, so when the University of Rochester proposed a land swap, the country club decided to take the university up on their offer and moved to a new 355-acre site in Pittsford. With the new land mass Oak Hill had room for two 18-hole courses, both designed by Donald Ross and became know as the East and West Courses. In 1941 the Times-Union, a local paper at the time advertised a tournament with a $5000 purse, which attracted some of the greatest golfers of that era, which included names such as Sam Snead, Walter Hagen and Ben Hogan. The tournament was won by Sam Snead and put Oak Hill Country Club on the golfing map. Several prestigious tournaments have been held at Oak Hill over the following 72 years, including six men’s major championships. The East Course has had several changes made over the years, first by Robert Trent Jones Sr. in the early 1960s and later – for the 1989 Open and 2003 PGA – by Tom Fazio. It’s not hard to predict Tiger Woods 7/2 is going to be favourite this week after his display at the WGC Bridgestone Invitation and especially his second round of 61 which set up his eighth win at Firestone Country Club, but Tigers odds are never generous and after last week’s performance he is going to be the man to beat this week. It’s a bit hard not to pick Phil Mickelson 14/1 and at those odds I think he will represent great value. If you look at Mickelson’s record from his last seven tournaments it stands at won two, two runners-up, one third place finish and two missed cuts and finished inside the Top 25 at the WGC Bridgestone. Phil opened up with a 66 here in the 2003 PGA Championship so he likes the course and the way he’s playing you wouldn’t put it past him holding two of this year’s majors come the end of the week. 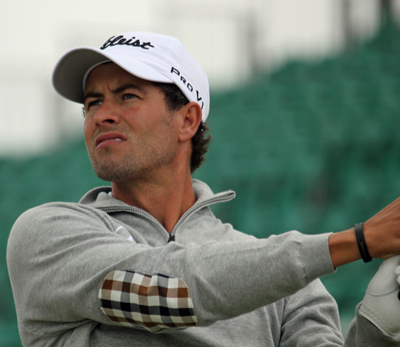 It was strange the way Adam Scott 16/1 collapsed come the later stages of the Open Championship, you always wonder if the pairing with Tiger Woods, with Steve Williams in the frame has an adverse affect. I know Adam did go on a great run of birdies but seemed to totally lose the plot from 13-16 which cost him the tournament. But it was another Top 5 finish and if you look at the majors over the last two years he has only been outside the Top 15 once which was at last months US Open, so look for the Australian to be in the thick of it again come Sunday at Oak Hill. I am still going to stick with Brandt Snedeker 25/1 he added yet another good finish in a major to his name, and if you analyse his Open Championship you will see it was only the second round that cost him being in the thick of it on Sunday afternoon. Since the Open he had a great win in the Canadian Open and has had a steady if unspectacular week at the WGC Bridgestone Invitational. It’s been a long road back for Henrik Stenson 33/1 since his win at the Players Championship in 2009 and his third place finish at the Open Championship a year later. But a win at the back end of 2012 at the SA Open Championship was the pick me up he needed to kick on. Since then Stenson has only been outside the Top 25 twice on the European Tour in the eleven events he’s played in. Add in two other Top 10 finishes on the PGA Tour and this week’s runners-up finish at the WGC Bridgestone and I think the Swed is ready to win his first major championship. One of the players who did make a charge along with Mickelson at the Open Championship was Ian Poulter 50/1 and these odds again are great value. It was good to see the Ryder Cup stalwart take some of that positive energy and channel it into his own game and when his putter is hot you need oven gloves to hold it. Never one to lack belief in his own ability but that final round at the Open Championship will do him the power of good come Sunday afternoon at Oak Hills. There are several good outside bets the week Marcel Siem 150/1, Harris English 100/1 but I am going to go with the young Japanese sensation Hideki Matsuyama 80/1 whose exploits at the Open Championship have brought him to prominence none more so than the one shot penalty that ultimately cost him a third place finish. But even with that against him Hideki managed to move up the leaderboard five places with his final round 70. Matsuyama has won twice on the Japanese tour and has another two runners-up finishes from his seven starts where he has not been outside the Top 10! He has also had two Top 25 finishes in the Canadian Open and last weeks WGC Bridgestone.